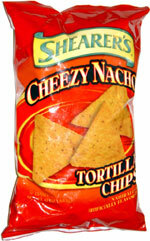 Taste test: These nacho cheese tortilla chips were excellent, and they were not just clones of Doritos. The taste wasn't as cheesy as Doritos, plus it was slightly spicier. 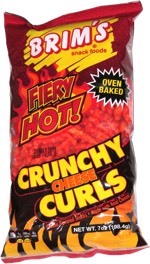 The chips had an excellent lightness and crispness to them, a great texture and a nice crunch. Smell test: Kind of a spicy tortilla smell, more spicy that cheesy.